Pencil drawing based on two separate model photographs (one of the baby, one of the male figure). I use cabinet grade ¾ inch birch plywood. 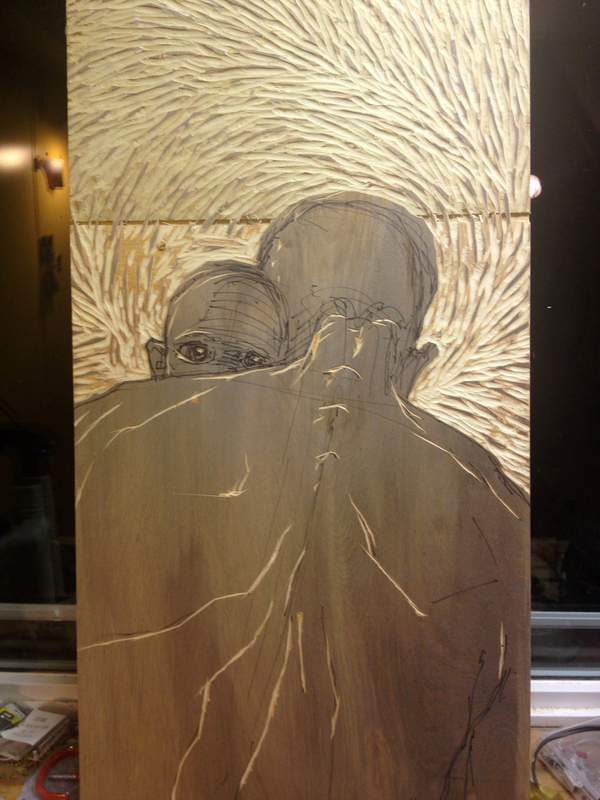 I first brush a light ink wash on to the block so that I can better see the image emerge as I carve. Carving is almost finished here. I use a piece of glass as a perfectly flat surface to roll out my ink. At this point I've already torn down all my paper to the right size. I've also got a bunch of newsprint cut to size to make my test prints. An early test print on scrap paper. 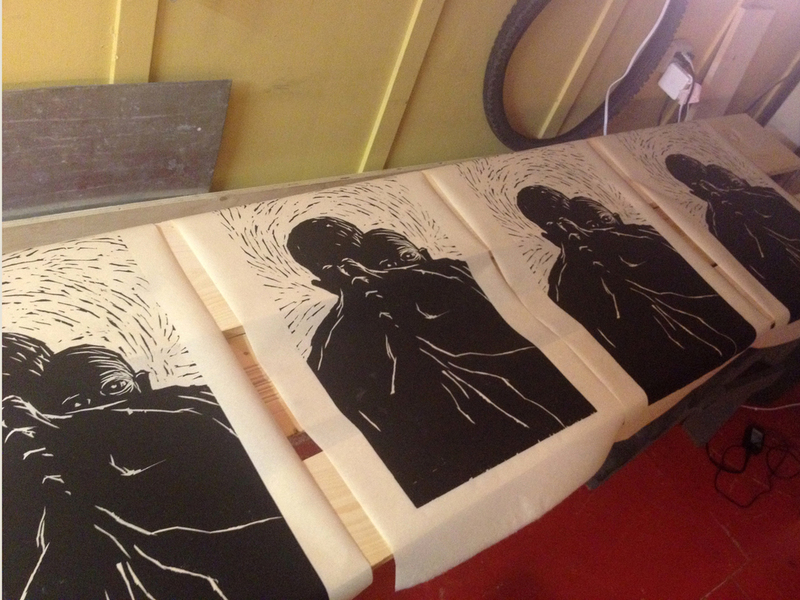 It takes time to build up the ink surface on the linoleum block to a point where it will print nice and black. Carved block rolled up with ink and ready to print. A test print on newsprint paper. The ink is now laying down black and even so it’s ready to move on to the good paper. Drying final prints on Japanese paper. Final numbered and signed print.